One of the biggest problems companies face, in particular middle market companies, is a lack of available talent or a lack of the right talent to fill vacant roles. In fact, the National Center for the Middle Market has reported that 44% of middle market firms indicate that a top recruiting challenge is finding candidates with the required skills for a position. Additionally, J.P. Morgan has recently reported that this problem is growing, increasing 25% over last year. There are several external and internal factors contributing to this problem. A low unemployment rate of 4% as well as the related heavy competition for talent creates a small pool of qualified candidates. Sometimes there are the right people within the region, however an inadequate public transportation system can make a commute difficult or even impossible. Companies may also have internal deficiencies contributing to these recruiting and retention problems. For instance, the company may not have a strong training and development program to prepare employees for future roles or growth opportunities. This, coupled with the fact that workers are changing jobs more frequently than in the past often leads to a successor not being developed or even identified upon a sudden employee departure. In fact, Career Builder recently reported that 40% of workers plan to change jobs during 2019, a statistic that companies would be well served to address before vacancies of key positions become a detriment to company performance and growth. So, what can companies do about this problem? It is certainly better to prevent good employees from leaving in the first place than trying to replace them. The Society for Human Resource Management states that the cost of hiring is $4,129 per employee. If you factor in lost productivity and ramp up time, that number is undoubtedly much larger. So, what steps should companies take to retain and attract good employees? This may seem obvious, but they should pay more, particularly for key employees. This involves knowing the market and paying at or above that rate. They should offer unique, sought-after benefits. For instance, if child care is a concern for employees or desired employees, they should offer tailored child care benefits or even back up child care benefits (as Starbucks has recently offered). Benefits like flexible work schedules or even remote working arrangements can sometimes be a huge benefit for employees. Offering extended parental leave or leave to care for parents or grandparents can also be a key differentiator for employers. Additional vacation days, retirement contributions, wellness incentives, student loan repayments or even longevity bonuses can help create stickiness amongst employees. Probably most important is that employers should focus on career management for employees and formally train and develop them for future roles. Lastly, one often overlooked important practice is to provide constant feedback and seek out feedback from employees on a wide range of topics, including satisfaction levels. Recruiting has certainly changed. The days of posting a job and waiting for resumes to come in are gone. Employers should leverage the technology and recruiting resources available to streamline recruiting and succession planning. Employers should know their ideal candidates and be visible to them by using social media platforms such as LinkedIn. These tools allow for more of a pull mechanism as opposed to the traditional push method of attracting candidates. Using external resources, such as specialized recruiters, can be a big help in identifying the right candidates. This can add cost; however, it may be worth it. They should be strategic in hiring and retaining, and a succession plan should be formally identified and developed for key roles. Employees can be a great source for potential hires. Employers should offer referral bonuses and other incentives. In this highly competitive market for talent, it is important to be open minded in order to cast the widest possible net. Companies that invest in brainstorming and thinking outside the box when it comes to employee sources and work arrangements may see strong human capital returns. Employers should partner with local industry groups, trade schools and universities. This could be a great way to build relationships and ensure a strong pipeline of qualified workers. They should utilize remote workers where it can be done effectively. All the necessary technology exists to allow this flexibility and expand the pool of available candidates. When it is not possible to fill certain roles, outsourcing might be the most effective method. In some cases, it can even be the most economical choice. In a challenging market for talent it is important for employers to know their current and desired employees and be open to a new way of thinking regarding recruiting, employee benefits and work arrangements. The rewards could be huge by way of a consistent and motivated workforce. About the Author: Kevin Krese is the Chief Financial Officer at Buckingham, Doolittle & Burroughs, LLC. 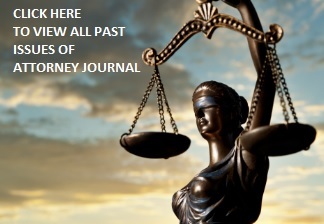 Please visit www.BDBLaw.com to learn more.